Despite living in different states and having significant age differences, my siblings and I have a pretty solid relationship. We visit each other as often as schedules allow and video chat weekly to help maintain our emotional bonds. Being close to one another requires a coordinated effort from all of us. We don’t let the miles that separate us hinder our intimate connection. A few months ago, we got a call informing us our mother was rushed to the hospital by ambulance. For several days, Mom had flu-like symptoms and chest congestion. Her neighbor called 911 after seeing her with labored breathing. We were all worried about Mom, and the entire situation terrified me. Following an 11-day hospital stay to treat a pulmonary infection, Mom felt much better. The doctor let her return home to continue healing. Her illness forced our family to consider how we might provide in-home care, if necessary. After losing my dad to mesothelioma years earlier, the time had come where my siblings and I had to make caregiving for mom possible. It is important for families to understand how relationships transform in the caregiving experience, especially when siblings coordinate care for their parents. My family is not unlike most. My siblings and I have our differences. During Mom’s hospital stay, my brother and I had words. We weren’t even caregivers yet, and we were already fighting. With a parent diagnosed with mesothelioma or any other serious illness, family tensions tend to skyrocket. Many adult children choose to become family caregivers, a complicated process for most families. There isn’t a preparatory course that teaches people the ins and outs of providing care. Sometimes the role isn’t a choice, but rather a necessity. When siblings collectively fill the caregiver role, sorting out the details might be even more challenging. To understand more about how my brother, sister and I might work together in providing parental care, I needed some guidance. I turned to the Family Caregiver Alliance, a community-based, nonprofit organization. The FCA began serving as a resource for caregivers in the 1970s. I found some useful information that could help me coordinate with my brother and sister. It is usually a devastating conversation when family members first hear that someone they love is seriously ill. According to the FCA, being asked to serve as a parental caregiver is unnerving for many adult children. Some may doubt their abilities to serve in such a capacity. It is easy to cast a doubtful eye toward sibling’s capabilities as well. With a parent facing a serious illness, siblings may fuel the long-extinguished fires of childhood rivalry. When families face cancer together, heated emotions can take the place of sensibility. Adult children will worry about their parent’s well-being and develop ideas about the details of providing care for their loved one. Your siblings may forcefully present caregiving plans that invalidate your ideas and feelings. Communication of this sort might feel an awful lot like familiar fights from childhood. With Mom in the hospital, my brother and I fell into familiar roles. He was the overbearing older brother, and I was the teenage drama queen. In the heat of the moment, we both went to digging up childhood hatchets we had buried years ago. I hadn’t called to relay pertinent information promptly, demonstrating my former irresponsibility. My brother had unrealistic expectations that I couldn’t possibly meet. We both got a little angry. The FCA presents a solution for revived sibling rivalry: Compassion. It is important to have a mutual understanding that each person brings something essential to the caregiver table. Everyone can fill the role in a way for which they are best suited. Showing your siblings that you value their thoughts and opinions can help foster better communication. Sharing sentiments and emotions is sure to convey the support all family members deserve, especially in a time of need. Sometimes the transition into the caregiving experience happens too quickly to carefully plan who will fill each role. When facing a serious illness, time for planning is a luxury. If providing parental care, siblings may not consider duties from other perspectives. It can be difficult to decide who is going to do what. A sick parent might need immediate care which adds to the coordination challenge. While building a plan that accommodates everyone, it might help to work on a provisional layout with the understanding that duties will likely change. During the planning phase, it may help to call a family meeting to help in the decision-making process. Siblings should center the discussion on the needs of their parent while making accommodations for each other. Always keep in mind that every family member invests their heart into their personal caregiver experience. When creating the caregiver plan, siblings might make considerations based on childhood assumptions about each other. 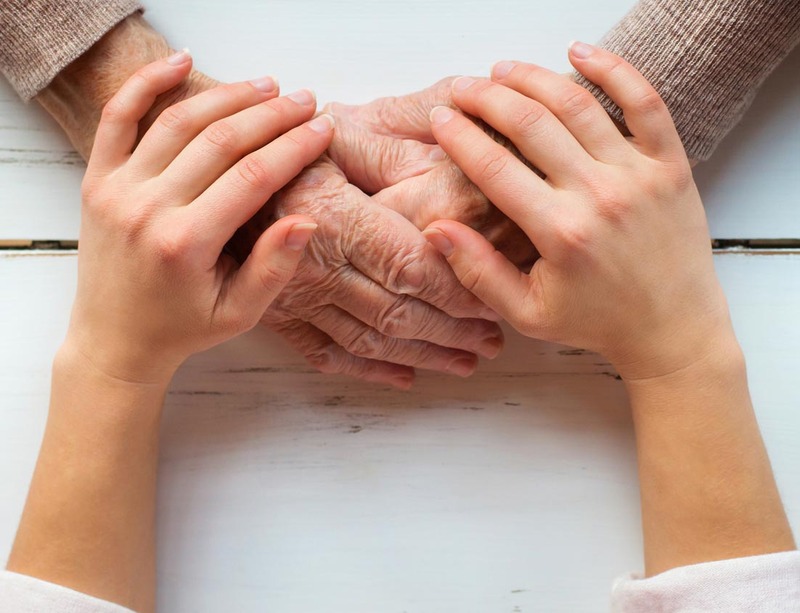 It might be a challenge to disregard former family labels such as “the smart one” or “the problem child.” According to the FCA, determining parental caregiver roles requires a fresh examination of the adult lives and preferences of those involved. As people grow and develop in adulthood, many of their habits and behavioral tendencies transform as well. Decisions about who will do which duty warrant a current assessment of skills, availability and willingness to participate. If one person was a math whiz in grade school, others shouldn’t assume that person is best-suited for the financial aspects of care. Asking questions and kindly sharing thoughts helps to define everyone’s current abilities. Facing a serious diagnosis isn’t easy for any family. It is during those times that family members need each other the most. Siblings should examine the situation objectively while understanding that the newly diagnosed parent’s needs are most important. When is fighting a serious illness, the last thing they should worry about is their children’s squabbles.